Did you send me the notification? Becasue I got it! So, I must be signed in! What an image! It certainly gets the creative juices flowing early in the morning! I didn’t want to break the “One word wednesday” rule and write an article, so I will cheat with the comments. After work one day a few colleagues and I lugged our camera gear to Central Park and got to feel like tourists. 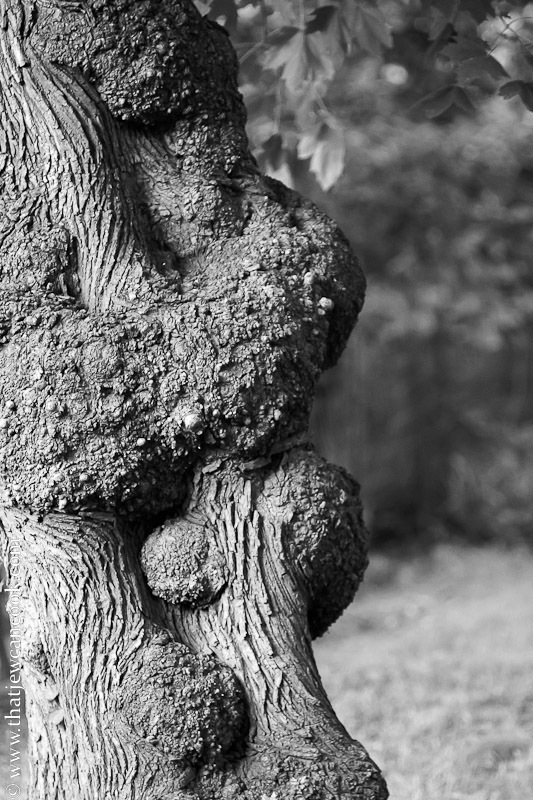 Right near one of the park entrances, I saw this really interesting tree trunk, and grabbed a quick shot. The photo certainly grabs one’s attention. I see either an old man’s face from one angle-from another angle, forgive me but it looks like several male genitalia parts in different directions. This is a drinking photo. You drink few glasses of a libation of your choice, then you pass this photo around and get feedback. I bet it would be interesting. Seriously, this is a really good photo that can make you think about what you are seeing. I haven’t gazed at it while half in the bag yet, but this weekend sounds like a good opportunity.